Let’s help make ‘Killa’ Happen! Quechuakuna puts the spotlight on a language’s most important resource: its people. 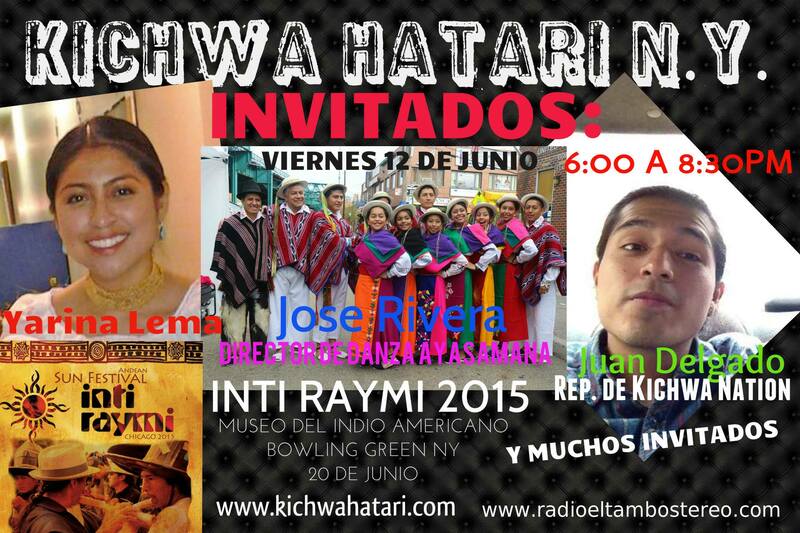 Profiling the kaleidoscope of Quechua/Kichwa language and culture in New York City – from native speakers to beginner students – Quechuakuna is a survey of the people who teach, sing, speak, and dream in this beautiful language. The first of many Quechuakuna to be profiled is Barbara Knowles, an ESL teacher in Ossining, New York whose dedication to her students led her on path towards the Kichwa language. 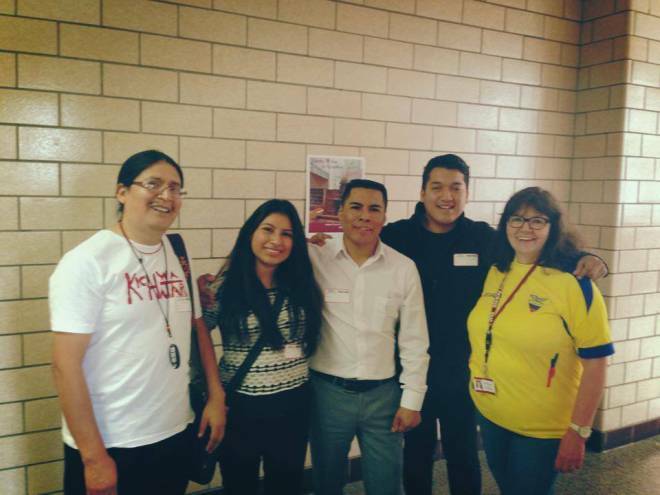 Barbara Knowles, far right in Ecuador jersey, invited the team behind the Kichwa-language radio program Kichwa Hatari to Ossining High School. From the left: Fabian Muenala, Jenny Angamarca, Segundo Angamarca, and Charlie Uruchima.